Rent Breathtaking Views & Classy Style | Corporate Events | Wedding Locations, Event Spaces and Party Venues. Experience a luxurious, eco-friendly Boston waterfront hotel on the harbor’s edge. 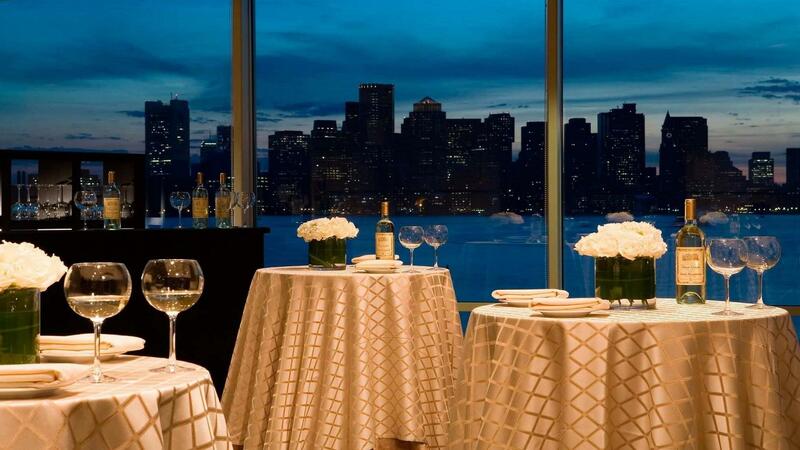 This venue features breathtaking views of the beautiful city skyline and is the most environmentally friendly waterfront hotel in Boston, Massachusetts. Winner of Boston’s Green Business Award, this convenient hotel close to Logan Airport includes newly renovated soundproof guestrooms, stunning harbor and city views, and onsite gourmet dining options. Guests at our hotel will appreciate the intimate setting and unique boutique style which make a fabulous backdrop for weddings, events and meetings. Set the tone for a magical wedding at this venue with the help of our professional planners. With stunning views of the beautiful harbor and shimmering skyline, our Boston wedding location is the perfect place to host an unforgettable special event. Our on-site Boston wedding planning team will help you create a spectacular menu, expertly prepared by our chefs. Experience first-class accommodations, superb cuisine and exceptional service at sensational Boston wedding venue. Less than one mile from the Boston Convention and Exhibition Center (BCEC), our conference center hotel has achieved accolades from some of the most prestigious meeting magazines across the United States. Our meeting space offers accommodations with breathtaking harbor and skyline views, outstanding customer service, extensive catering options, complimentary airport transportation and easy access to top attractions via our water taxi.